Buying and storing VAT free silver & platinum in Switzerland reduces your reliance on the financial system. During times of political and financial uncertainty this reduces your reliance on the banking system, reduces your exposure to counterparty risk and helps to diversify your wealth geographically. It's VAT Free. You can now buy and store silver bars and coins without having to pay VAT on your purchase. Your VAT-Free bullion will be fully insured and securely stored in an accredited vault managed by Loomis International. VAT will only become payable if you later elect to take physical delivery of your bullion. We strongly believe that our VAT Free proposition offers investors a secure and cost effective way to own physical silver and platinum. 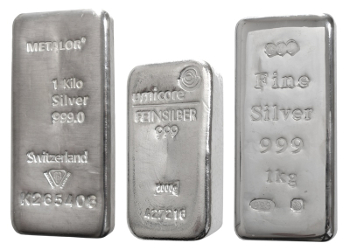 You can sell your silver & platinum back to us anytime or request physical delivery. Payments will be made by bank transfer directly into your linked bank account. If you later decide to take physical delivery of your silver or platinum VAT will become payable. For further information, please refer to the VAT Free silver bullion FAQ’s . Silver Britannia coins are exempt from Capital Gains Tax (CGT) as they are classified as British legal tender. Each silver Britannia coin contains one ounce of pure silver and supplied directly from the Royal Mint. VAT Free silver Britannia coins offer investors the unique combination of being both VAT and CGT exempt. Your VAT free bars and coins will be securely vaulted with Loomis International in a state-of-the-art vault in Zurich, Switzerland. Loomis International are approved by the London Bullion Market Association (LBMA) and have a long history of vaulting, transporting and managing precious metals. Switzerland is considered one of the safest jurisdictions to store precious metals and the Swiss population have a long history of owning physical bullion. Switzerland refines 70% of the world’s gold, which makes it a major trading hub for the precious metals market. Your silver & platinum will be fully insured and regularly audited by Grant Thornton LLP, one of the world’s most trusted audit and accountancy firms.